GIGA GRANADA HILLS: The Lineup For Saturday's Movie Night/Food Truck Fest! The Lineup For Saturday's Movie Night/Food Truck Fest! "Mr. Incredible (A.K.A. Bob Parr), and his wife Helen (A.K.A. Elastigirl), are the world's greatest famous crime-fighting superheroes in Metroville. Always saving lives and battling evil on a daily basis. 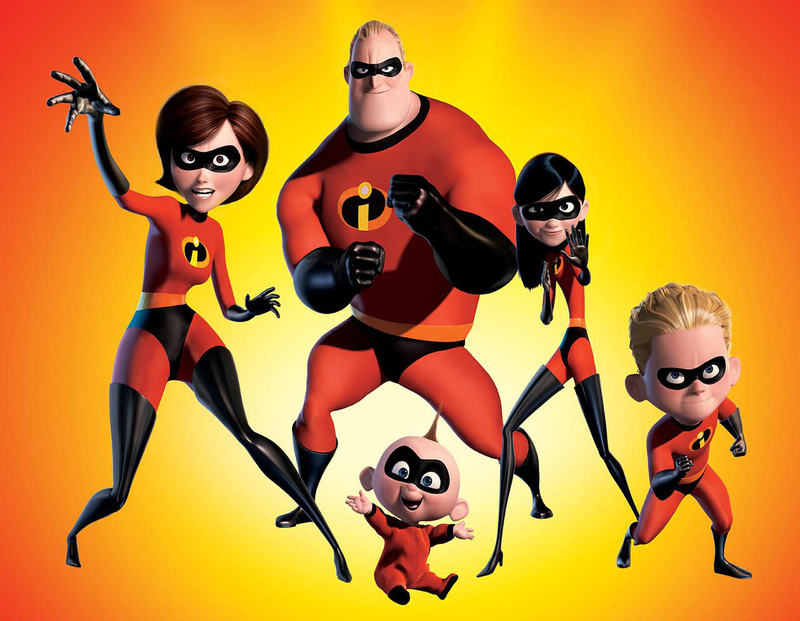 But fifteen years later, they have been forced to adopt civilian identities and retreat to the suburbs where they have no choice but to retire of being a superhero and force to live a "normal life" with their three children Violet, Dash and Jack-Jack (who were secretly born with superpowers). Itching to get back into action, Bob gets his chance when a mysterious communication summons him to a remote island for a top secret assignment. He soon discovers that it will take a super family effort to rescue the world from total destruction. " "The menu was inspired & crafted by taking French cooking techniques and mixing it with coastal flavors from around the globe, and finishing each bite with subtle Pacific flair. While we seduce your taste buds, our other goal is to intrigue our guests with the sights and sounds of undiscovered talent. Our VIZZI truck is equipped to showcase independent musicians and exclusive DJ’s. " "Brace yourself for a unique flavor adventure. 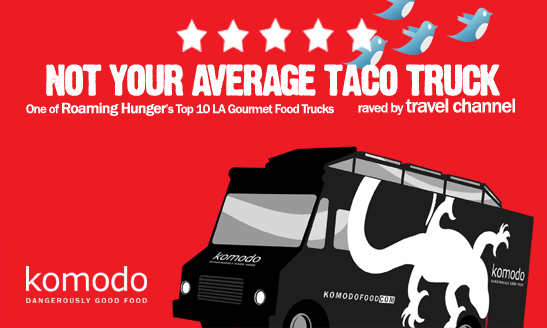 Komodo brings you street food with a gourmet twist. Mixing 100% fresh high quality ingredients and unique flavors, Komodo was created by a world class chef and designed to bring high style, high quality restaurant meals without compromising value and taste." "The Mediterranean Region, where the Gourmet Genie (GG for short) hails from, is rich in exotic spices and both the people and genies incorporate them in their simple recipes: grilled meats, fresh salads and delicious side dishes with just a few ingredients. The "California" part comes in because the Genie is a master of putting a modern and healthy (just like L.A.!) spin on this classic cuisine." "Grandfather Franco DeLucia brought his father's frozen lemonade recipe to America at the turn of the century. Angelo DeLucia, his son, began work on a machine to produce the frozen lemonade, and on a method of making it a consistently excellent product. In 1948, Del's Frozen Lemonade acquired it's name and became the sole product sold at a little stand in Cranston, Rhode Island. Soon, Angelo had designed the first mobile units in order to serve anywhere in the state." Sushi and Peruvian Fusion: "The centerpiece of the menu is that staple of Peruvian cooking, saltado: your choice of beef, chicken or tofu stir-fried with onions, tomatoes, cilantro and French fries in a sauce made with soy and red wine ($7 to $8). You can also get it with spaghetti instead of French fries (tallarin saltado, $7 to $8) or fried rice ($7 to $8). Every meal comes with a side of creamy jalapeno hot sauce, and drink options will include Inca Kola. Nakata is also planning on weekly specials like a California tostada made with a creamy imitation crab mix on top of a tostada and topped with salsa. " "Crepe’n Around offers foodies anything from the sweet crepes we all love- Strawberries and Cream, Banana Nutella, and S’more to the savory crepes filled with Teriyaki Flank Steak, Ham & Brie, Maple Braised Pork and Chicken Pesto. No matter what your palette, Crepe’n Around brings high-quality crepes at street level prices for everyone to enjoy." "Korean bbq tacos tacos and, other yummies! The perfect marriage of asian flavors with staples of central and south american culinary history. Bool is what fusion should be." "The peanut butter and jelly s'more sandwich is to die for. 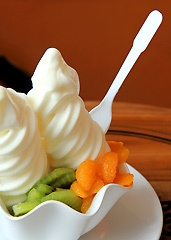 Come try this delectable desert we call ‘The Scooby Snack’ that won the Sweet Tooth Award at the L.A. Street Food Fest. The foundation of the concept, our smores, were voted #3 Smores in Los Angeles. Our famous grilled sandwiches, hand cut fries and our patented ‘free high fives’ will also be showcased. Hope to see you soon!" 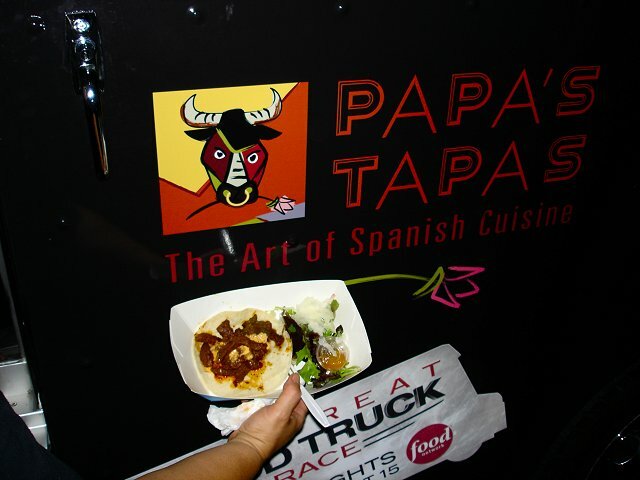 "Tapas come from the verb tapar, which means to cover in Spanish. It is also the name for Spanish appetizers and snacks. “One of our more popular items is the croquetas.” Julia told us. The croquetas are balls made out of dough with ham, fried and served with garlic aioli. We also tried the La Tortilla del Calabacin con Queso de Cabra, which is an omelette with zucchini, goat cheese and parmesan cheese topped with garlic aioli that sits on top of a small salad with two olives on the side. Very sophisticated and the zucchini flavor and texture melded nicely together with the mix of cheeses." "Our goal is to introduce this fabulous tradition food of Osaka called the “Takoyaki” to the people outside of Japan. We want everyone from all over the world to actually eat and experience how awesome this “Takoyaki” thing is and spread the word to the world." 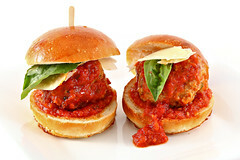 "G-BOT serves meatballs and other savory balls of food. So why meatballs? Because meatballs are universal. They are found in nearly every culture with names like polpette, kofta and frikadel. They are found in dumplings and on top of spaghetti all covered with cheese. Across the globe, many cultures have found a way to make the meatball their own. Inspired by their discovery, the G-BOT founders began tasting every meatball they could find. They drove around town, flew across the country and even overseas to taste the balls of the world. On their adventures they realized that they wanted to bring the spirit of these balls home. Today, Great Balls are On Tires for you to enjoy!" "Yo, hey what's up! I come from LA - I roll with swagger and grace! I'm serving up some of the finest frozen bling you’ll ever taste! I'm rocking it so that you get to pump your own and add the accessories as well! This is how I throw down with my flavors- all fresh gorgeous fruit sorbets, wicked nondairy vanilla and chocolate - They’ve been created by one of the best gelato makers from Bellagio, Italy. When you catch up with me not only will you get some of the freshest frozen bling in town but my crew will be there to pop-lock and drop it, and serve you some sweetness!" My mouth is watering! Can't wait!